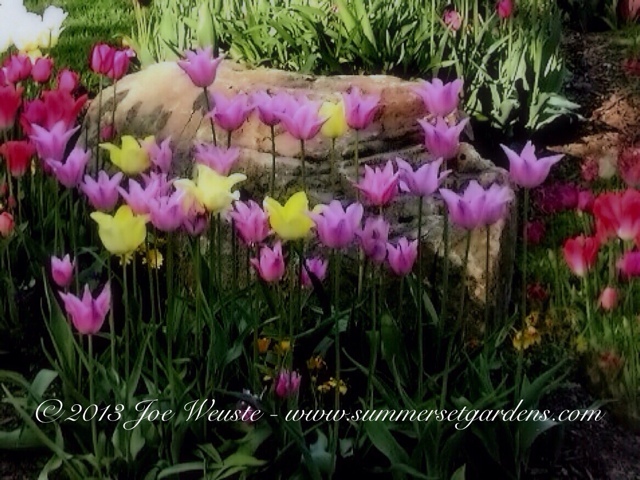 Blending of tulips in a Ny garden. Nothing say Spring more so than Tulips in bloom. I try to plant them between late blooming perennial groupings. Landscape design and construction services in the NJ and NY areas.